The touch typing tutor that takes learners from the home keys to mastery of the whole keyboard and typing sentences. This activity is an improved version of the well used touch typing tutors Text Type and Talking Text Type. The two activities are merged into one. 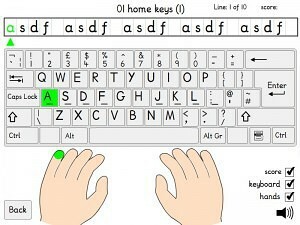 These touch typing games will take learners from the home keys to mastery of the whole keyboard and typing sentences. Each activity has a range of accessibility options. 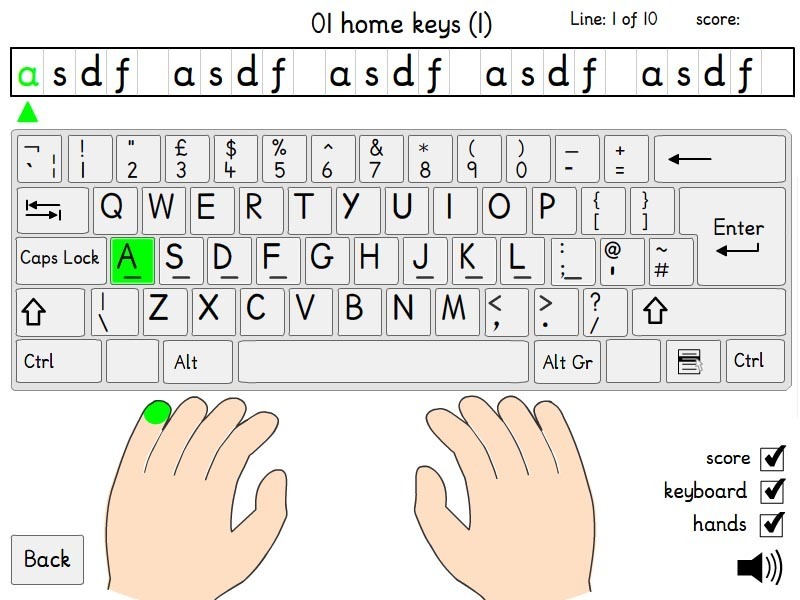 The latest version of our popular touch typing tutor, designed with visually impaired learners in mind. It is being updated to html5 in two phases, in order to be compatible with all devices. Also, see our full notes on touch typing best practice. This activity will guide a person who is effectively single handed user through learning an efficient typing method. We are grateful to the RS Macdonald Charitable Trust for funding the development of this activity. The touch typing tutor that takes learners from the home keys to mastery of the whole keyboard and typing sentences. 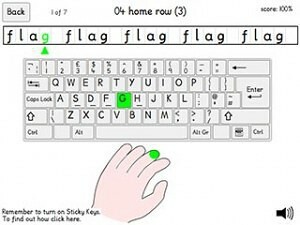 This activity is an improved version of the well used touch typing tutors Text Type and Talking Text Type.